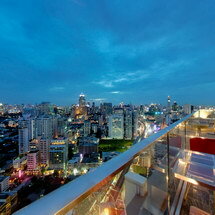 Located in a quiet neighborhood and in walking distance to the Asoke BTS station. 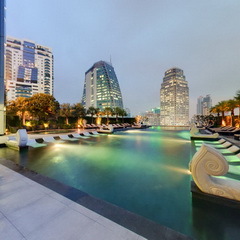 One step in this city hotel, you will feel cooler, hip, and chill by its extremely modern design. 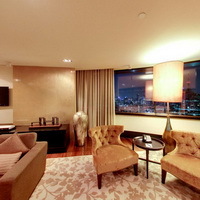 Rooms are small but cozy and convenient. 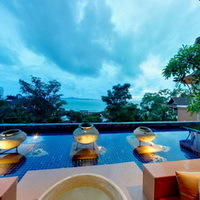 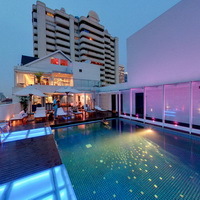 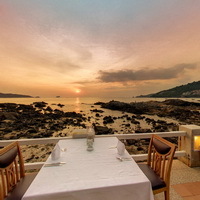 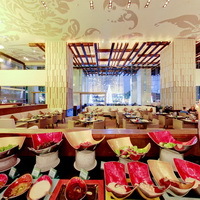 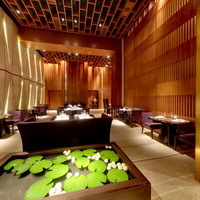 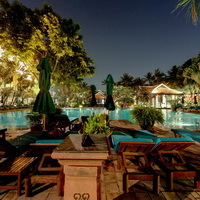 The attractive rooftop restaurant with a pool; Leapfrog has a unique menu that serves all types of dinning preference. 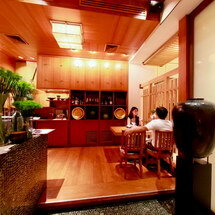 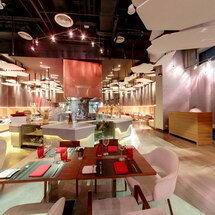 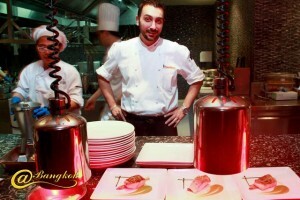 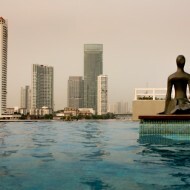 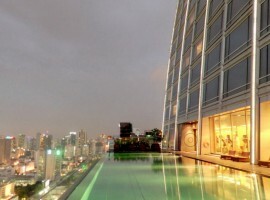 Very centrally located, it is right on top of Central World Bangkok biggest shopping complex. 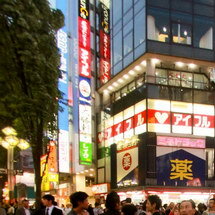 The area is surrounded by shops from street side to high-end, same goes for places to eat. 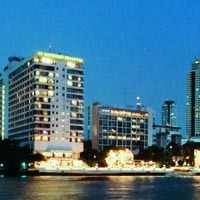 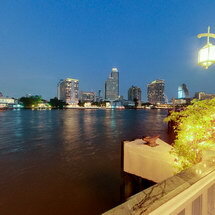 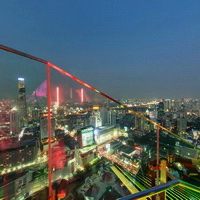 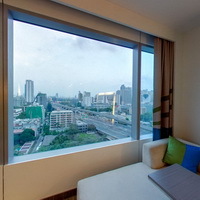 The rooms are very well appointed with the view of Bangkok skyline. 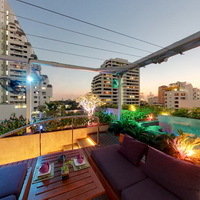 If the view from the room does not satisfy, make sure to take the elevator ride to Red Sky (the rooftop restaurant and bar). 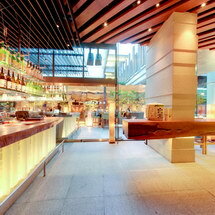 Eat, sleep, shop, the drawback is you many never have to leave the building. 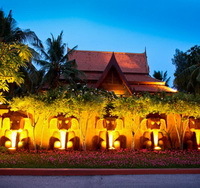 There is a unique character in all Anantara resorts. 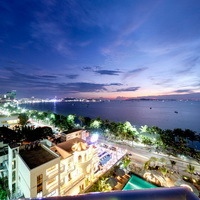 The one in Hua Hin is no exception. 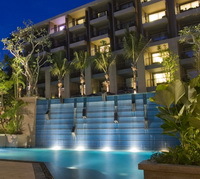 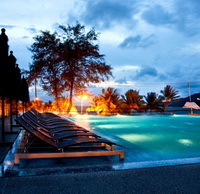 The seaside resort is just a few kilometers away from Hua Hin downtown. 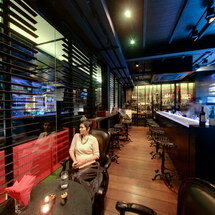 Once inside it felt like I was far away and very isolated from the city. 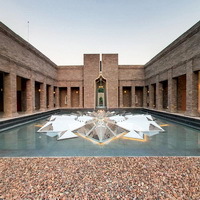 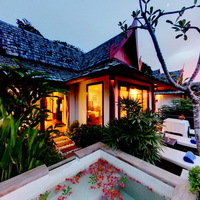 The luscious tropical garden and the high walls provided a barrier to the outside world. 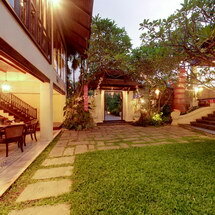 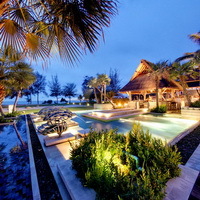 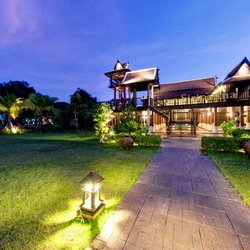 An hour and a half down south of Hua Hin, out of no where there is peaceful and stylish resort. 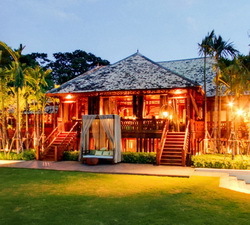 The simplicity of the architecture and rustic materials plus the setting provides a charming rest you won’t find in any where this close to Bangkok.